The Apollo 52 NXT Cart from Inovativ can be used on set, in the studio, or on location to transport your cinema equipment. It can also function as a mobile workstation for data management operators. 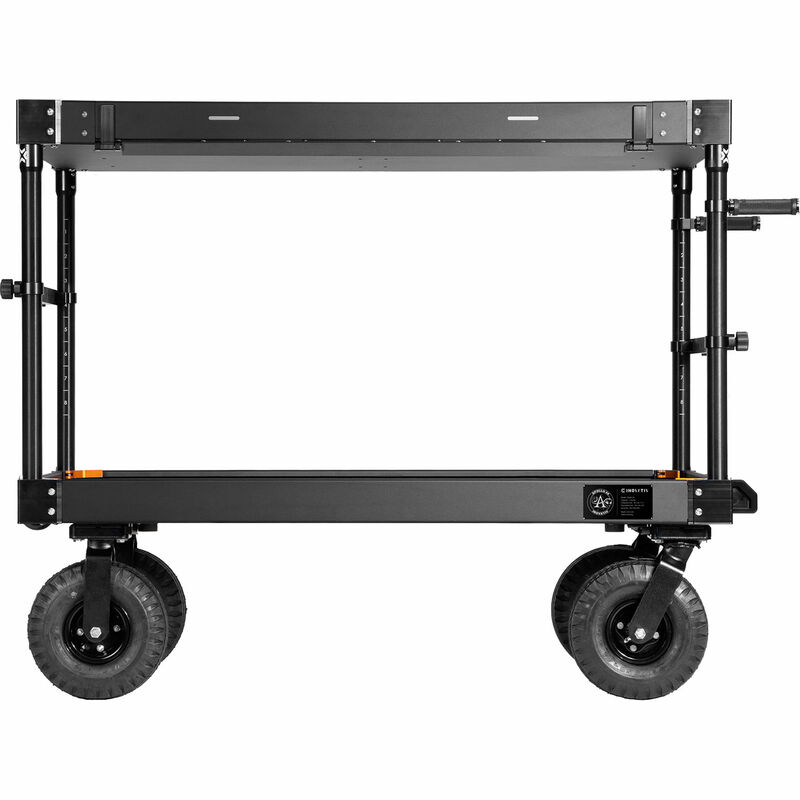 The cart can be configured to hold several monitors, a laptop, or a camera. This allows the operator on set to help the photographer manage data more efficiently. The Apollo cart comes with air-filled 10" standard NXT wheels. All the wheels have aluminum dovetail adapters, which connect the steel casters to the aluminum dovetail system. Box Dimensions (LxWxH) 60.0 x 33.0 x 11.5"